T, B & T and little she: We love celebrating Daddy! 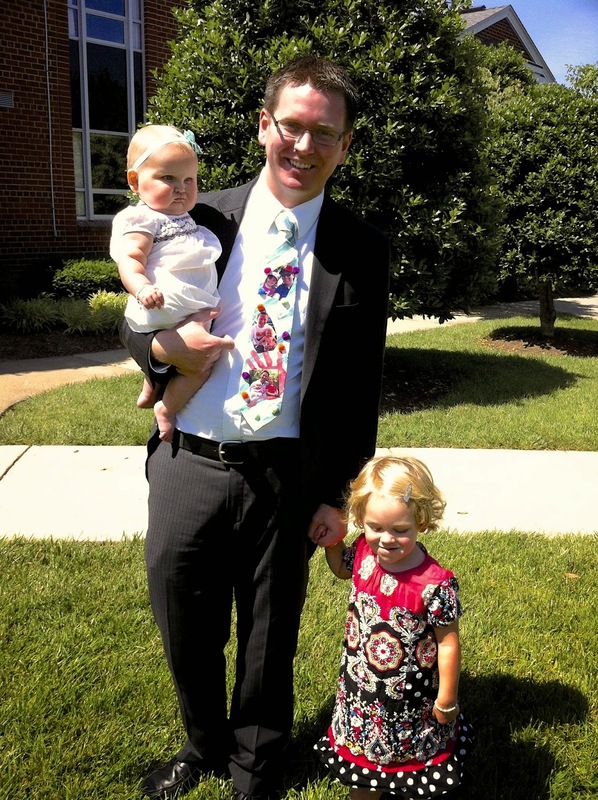 Tyson sported this homemade Father's Day tie to church over the weekend. Let me tell you, I was proud of Taryn for keeping it a secret for almost a month! We worked on it a little here and a little there and each time when Daddy would come home she would run over a whisper how she wanted to show him the tie. I had to remind her it was a surprise and we couldn't just yet. And she waited oh so patiently! Getting Taryn's hand print was easy peasy. But Hadleigh's? Oh man. It's WAY harder than it seems. We loved celebrating Tyson all weekend long and the other Dads in our lives. We were able to talk on the phone with my Dad in California and Tyson's Dad in Albania. We have so many wonderful Father figures around us. We are so lucky!